ALBANY PARK — Earlier this month, Dante Mondragon and his girlfriend of 2½ years learned their first child would be a boy. "He was so excited," said Jasmine Garcia, who is six months pregnant. "He was like, 'I'm going to teach him how to be a good kid. I'm going to give him a better life than what I had.'" Dante began buying clothes for his son — due in February — and got a job as a bus boy, relatives said. But on Sunday, Dante was shot to death a few blocks from his Albany Park home. The 17-year-old had been out drinking with friends Saturday night and returned home to rest sometime around midnight, relatives said. After an argument with a family member, Dante went outside to cool off. His mother tried to follow, but couldn't find him. About 1:20 a.m. Sunday, Dante was fatally shot in his back in the 3700 block of West Lawrence Avenue, police said. He was approached by two men — one of whom opened fire, police said. Police claim Dante was a gang member and the shooting could have been gang-related. Dante's relatives said they didn't know about any gang ties and were still trying to piece together what happened. When Dante's mother heard a commotion on Lawrence Avenue early Sunday, she rushed to the shooting scene, where she found her son on the ground, relatives said. 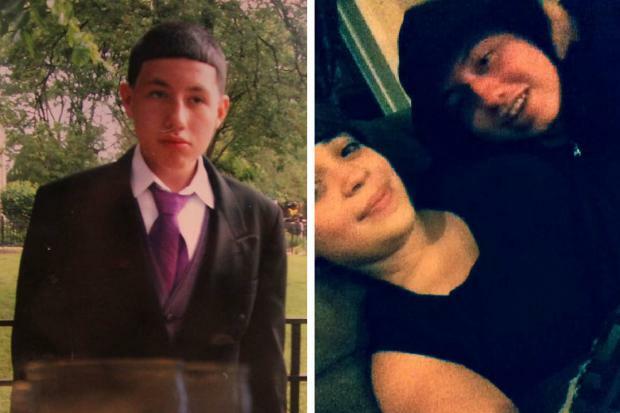 "She saw his Jordans [gym shoes]," said cousin Adriana Tavarez, 13. "She was able to talk to him before he died. She was screaming, 'Dante, we're going to get you to the hospital!'" Dante began coughing blood, Adriana said. His mom "kept on telling him, 'Keep calm.' He said 'mom,' and then he closed his eyes," said Adriana. Dante was pronounced dead on the scene at 1:29 a.m. Sunday. On Tuesday morning, more than a dozen relatives gathered in the family's apartment in the 4700 block of North Central Park Avenue. A framed photo of Dante stood beside lit candles and roses. “He could make anything be funny," Adriana said of her cousin, whom she described as happy, goofy and chubby. Dante loved to eat and earned the nickname "Pozole," after the popular Mexican dish. He was especially close to his family, Adriana said, and spent most of his time with siblings or cousins. About two weeks ago, Dante began a job as a dishwasher and busboy. He was supposed to pick up his first paycheck Monday and already had decided he would split his earnings among his mother, girlfriend and several relatives, relatives said. Dante hoped the job would help him provide for his son. "He came with me to all my doctor appointments and would touch my belly," said Jasmine, who met Dante at Roosevelt High School. The 17-year-old plans to name her son "Dante" after his dad — whom she called lovable, independent and "hardheaded at times." That way "he can be present again," Jasmine said. "I feel like he's still looking over me." Jasmine said she's had trouble sleeping since Dante's death but is doing her best to stay calm and healthy so she can carry the couple's son to term.